If you get cold hands and have a certain amount of disposable income, the Chaval Response-XRT gloves provide very even, well-regulated warmth and lots of it in a well-made glove. The battery life was the best of the electrically heated gloves that we’ve tested, and the ActiveDry charging/drying technology did dry out the gloves overnight. Chaval has made some significant advances in the pricey heated glove category. The most significant feature of Chaval’s Response-XRT gloves is the heating technology. Using polymer film panels instead of wires to transfer heat to the hands and finger, the Response-XRT delivered very even and comfortable warmth over my entire hand. As you would expect, the battery life will vary according to the temperature–on cold days that hovered around zero, I got around 4 to 4.5 hours of continuous output. On days when the temps were above 10 degrees I got nearly 6 hours from a single charge. The gloves are insulated well enough that when the temperature went upwards of 20 degrees I didn’t need the extra heat. The heating system regulation was very efficient and my hands didn’t sweat in cold temperatures. The batteries and heating elements are very low profile and unobtrusive–once the gloves are on they are practically unnoticeable. The controls are simple–just an on button (lighted when on) and an off button, which look like mp3 player controls and may generate some amusing inquiries from ski partners. The batteries are integrated into the gloves, unlike some other electrically heated gloves, so you only have to plug in the charger to the connectors in the cuffs. Charging takes around 6 hours, so it’s probably best to consider that an overnight chore. The Response-XRT’s construction is very good. The shell is a soft leather with reinforcement at the thumb and flexible panels at the knuckles. There’s an always-appreciated nose-wipe panel on the back of the thumb and a functional closure on the gauntlet cuff. For heated gloves they are a lot more dexterous than expected–using tools and holding poles was very comfortable. The only complaint I have concerning the fit is that I experienced some binding and pulling from the poly lining when putting the gloves on and taking them off of wet hands. The gloves have a waterproof/breathable liner, though I wouldn’t expect to be using heated gloves in conditions where the temps weren’t way below freezing. But true to the rigorous Gear Institute testing standards, I put them on and dunked them into water anyway and found that they leaked at the seams after a minute or two. That wasn’t a problem in cold weather on the ski hill, but it could be an issue in freezing pouring rain. I tested Chaval’s ActiveDry charging/drying technology by holding my hands under running water then putting the gloves on. Once the gloves had absorbed the water from my hands, I plugged them into the ActiveDry charger and left them for the night. In the morning, dry gloves. I did an A/B test by wetting the gloves then plugging one into an ActiveDry charger and the other into a regular charger and in the morning, the ActiveDry-charged glove was dry, and the other one was still slightly damp. So I double-soaked my hands and the shell and I found out that the ActiveDry system won’t dry out soaking wet gloves, but for somewhat sweaty hands, it works well. 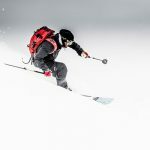 The price tag–$390–will give a lot of ski bums pause, especially when you consider that chemical hand warmers you can slip into your regular gloves are in the $1 to $2 range, however those don’t provide anywhere near the even, comfortable heat of the Response-XRT. But with the price of premium ski gloves starting to push $300, if you suffer from cold hands and aren’t into tossing those little heat packets away, these gloves could be the answer to your prayers.